If you understand Korean food culture or Asian food culture, you know how important rice is to our daily life. Ask yourself. How often do you cook rice? I cook it everyday. Yeah, it is a very critical part of my daily life. But more importantly how often do you make a success with it? Obviously “putting rinsed rice into a pot or a rice cooker, add some water, and boil it” isn’t as simple as it sounds, or at least not to everyone. To tell you the truth, I am not a rice expert. I don’t make perfect steamed rice all the time either. However, I wouldn’t mind eating perfectly cooked rice all the time, wouldn’t you? So I decided to start a discussion about this topic, so we can experience a better eating life. Successfully cooked Korean rice (in other words delicious Korean rice) is sticky rice that shines and has a tasty fragrance. Can you image it? (If you can’t, sorry, my English isn’t as good as I want it to be). But you can’t really taste the rice before you buy it, can you? So here is a check list, recommended by the Rural Development Administration (part of the Korean Government),which might help us to choose some good rice. 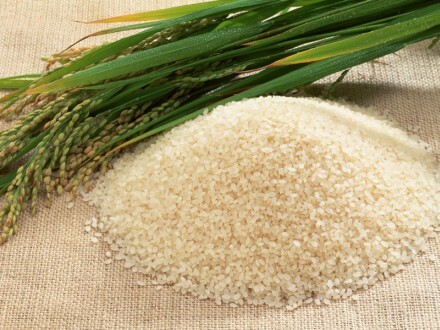 Good rice grain has a white, clean, clear and shining look. The grain shouldn’t have partial black (brown) or white parts in the middle. The grain should be even in shape and shouldn’t have chips or half crushed parts. The Rice package should have milled date on it (Most recently milled rice is the best. Because 2 weeks after milling, the grain starts to lose its moisture). If the rice basically meets these requirements, it is more likely “head rice” (which means good quality rice). Apparently Japan has one of the highest standards and yields on “head rice” whereas Australia and Korea don’t have as high standards or yield than Japan (but this depends on the brand). Have you checked your rice yet? Are you eating good quality rice? I’m so glad to find your website and found your story quite fascinating. I am S Korean born and left when I was 8 years old. My family went back to S Korea every summer until I was in high school so I know Korean culture and food very well (besides my mom only cooks Korean food regardless of whether it is Christmas or Thanksgiving). I grew up in Busan, Choon Chun and Seoul when I was little in Korea. After that I lived in New York City most of my life where Korean food is quite available. 5 years ago I married my American husband and we have a baby named Peter. We moved to Atlanta, Georgia which has a significant Korean community but unfortunately we are about an hour away from most of the good restaurants. 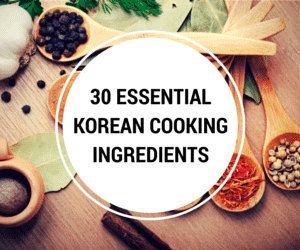 I have been constantly nagging my mom to teach me how to prepare Korean food so that I can satisfy my Korean food cravings and also to introduce it to my 3 1/2 year old son. 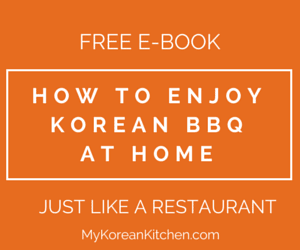 Your website is clear and easy to follow even for the most novice cook, and even for the very novice Korean cook. I look forward to reading your blogs and appreciate all the side info tidbits about the Korean culture. Hi Boyung, Thanks for your lovely words. I’m intending to use my blog for my baby. She’s about 6 months old now. I want her to learn as much as she can about Korean culture and food and use my blog as her reference. 🙂 I hope you and your family enjoy my stories and recipes. Cheers. My son asked me to find information on Korean green sticky rice. What is this and where can this rice be purchased? 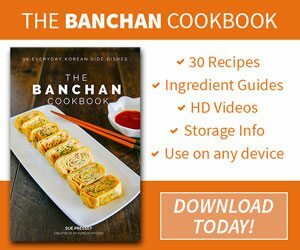 I have never heard of Korean sticky rice, could he possibly be thinking of cốm? It’s a Vietnamese variety that is flattened (think oatmeal) and often used in desserts. Hi there, i’m just curios whether u use normal long grain rice or a special one such as sushi specialized rice. I use the same brand, but it did not get sticky after cook. Why is that? The “stickiness” of rice has more to do with the type of rice you cook and not how you cook it. So if you buy “Korean” rice or Japanese rice, it will be hard for you to not cook it sticky. What you are looking for is more of a Chinese style rice. Here is a great article on the web that describes in detail the differences in rice and how they cook. Also, if you want the korean rice to be less sticky, I guess the only way of doing this would be to over cook it, meaning you are cooking the moisture out of the rice. Which to me does not taste good at all and probably not what you are looking for. You are better off buying a different type of rice. Hmm. As a boarding student. My 10kgs rice last for half a year, so they’re not very fresh. I found a lot of white parts and chipped. 🙁 then again, I depend mostly on cheap rice and takeaway foods. When I lived in Korea our kitchen had a special drawer to store the rice. We usually bought it in 20kg bags which lasted about a month. I already checked your review about my blog and I left a comment there as well. Thank you so much for your kind words! I wasn’t sure if you were still in OZ or not. And I will do the same too. As you may remember or not, I’m in Australia too. My girlfriend and I bought the same brand of rice. The first bag was the red one (I don’t remember the exact name). I don’t think it was too bad, not amazing, just so so. But when we finished it, we bought the black bag from the same brand. And we are really disappointed. It’s just not good. We try to use it for kimbab, but forget it. too sticky, when you mix it make a kind of mashed rice. And even when you put the right amount of water. Because I try to find the right dose and it’s just arg…. not good. So i guess i will go to the sushi restaurant which has the tastiest rice in town, and ask them what brand they use. But sunrise my ***. Oups sorry..
Rosa, You can use an e-mail subscription (in the middle of the left side bar), you can type your e-mail address and it will deliver to you every time I update this blog. Or you can use feed subscription (in the bottom of the left side bar – big orange button). It sounds like everyone who left comments here seems to have good quality rice except me. 🙂 The best rice I had in my life was the pack I ordered on the internet about a year ago in Korea. It was about US$30 for 4 kg. They milled the rice as soon as I ordered and before then they keep the rice in the fridge (15â„ƒ). Their head rice yield was about 95% and it was the sweetest and the most moist rice I have ever had. But it was also the most expensive rice I have had. I miss it so much. Whilst nice fragrant rice is welcomed (we use Thai rice at home), it is not the most important item at the meal table. The dishes that accompany it are the highlights. The rice is more of staple food just to fill up the stomach as well as to go with whatever dish available. Here in the US Northwest, I use a “calrose” style short grain white rice. Always look for the “New Crop” on the bag. Pre soaking is a must. Cooked straight from the bag results in less “sticky” and an uneven texture. And for Americans or others who “stumble” across this who are unfamiliar with rice – NEVER EVER use any rice that has “Minute” or “instant” on the bag/box for any Asian rice dish. That is just so wrong. This is a discussion that is near and dear to my heart. Growing up in a Thai household, I am partial to jasmine rice. We ate it for breakfast, lunch, and dinner. Second on my list is Japanese/Korean type rice. Normally I buy my jasmine rice at a Thai/Viet store and I look for “new crop”. There really is a big difference. We go through rice so fast that it never sits around too long (10 lbs will be gone within a month). But I know people that keep bags of rice for months. It really does get stale. I’m most certainly oblivious to the quality of the rice I normally eat; I just buy Jasmine Rice since that’s what I’ve been eating for the last 10 years. It’s interesting how sensitive Asian palates are to different kinds of rice: Japanese and Koreans prefer stickier and more glutinous rice while the Chinese prefer more aromatic and drier versions. Although I have to say that Korean rice is my favorite! A friend of mine took Hiromi and me to a Ssalbap restaurant in Icheon on my recent trip to Korea (see http://blog.jagaimo.com/archive/2007/04/21/half-day-trip-to-icheon-all-about-the-rice.aspx ), which had the nicest rice I’ve seen in Korea. In the US, I usually buy one of the higher quality Japanese-style rices, but these are generally grown in the US. These rices are usually dry farmed which may make the flavor a little different than the same variety of rice grown in Japan or Korea. The higher quality ones usually have names like “(brand name) gold” or similar. The flavor and texture is noticeably better than the cheaper ones, though perhaps not much different than the lower grades in Japan. The biggest problem with rice I’ve seen in the US is uneven grains, or sometimes the inclusion of green grains in the very cheapest rice. To avoid that I tend to buy better ones. By the way, how do you subscribe to this blog? I just recently stumbled upon it and I’m kind of internet bleh right now. I’m not too sure if I’m eating the best rice in Japan, but I do know that the brand I buy is the cheapest at the market (890 yen about US$9 for 2kg). I use a rice cooker to cook my rice and I make sure to at least have the rice soak for 2 hours or more before cooking, this helps the rice become “fluffy”, so to speak. Also, I keep my uncooked rice in the refrigerator. I don’t know if this helps the taste of the rice but at least it helps keep the bugs out of it.